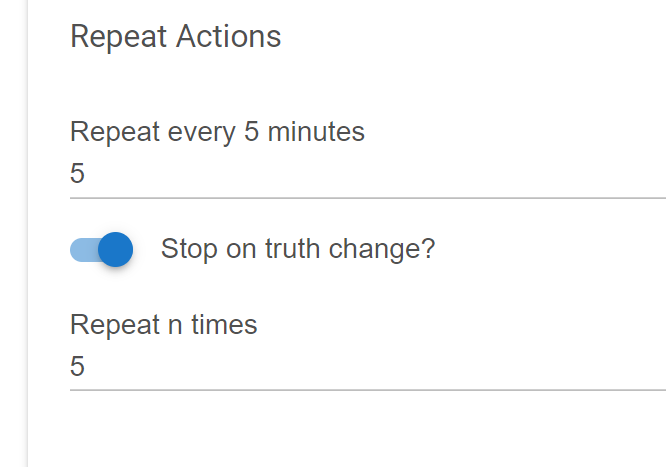 Seems like the "Repeat n times" option has been removed? I have a couple rules that used this. UI shows it, but it seems like the option is now missing @bravenel ? A UI glitch. Will track it down. 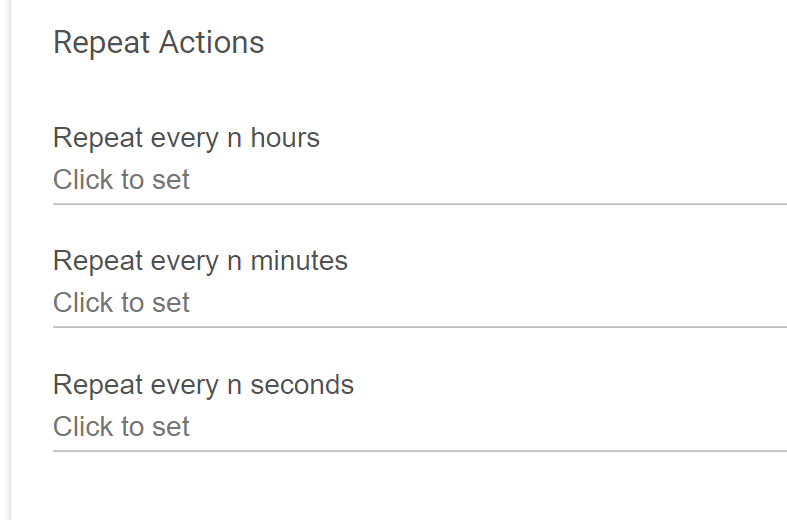 There was complete overhaul of actions UI, so as to always show current device names. This just fell in a crack. Thanks for the post, I'm new to Hubitat and have been tying to work out how to repeat n times. Will the fix be in the next release? Yes, it will be in the next release. Should be out early next week. Should be out early next week. It's there. You have to fill in a value in one of the Repeat sections first, then you'll see the field open up for "Repeat n times".